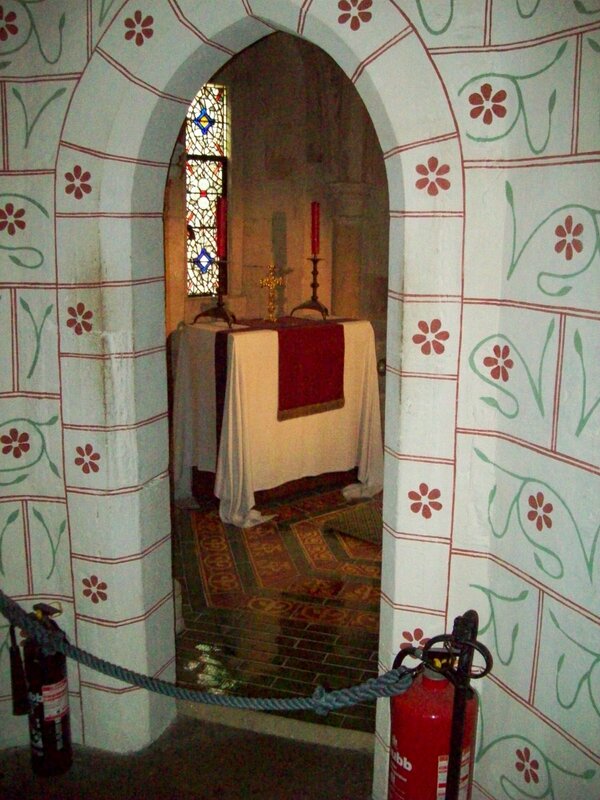 Our first stop was in St.Thomas’ Tower, also called the Medieval Palace since it houses the royal rooms. 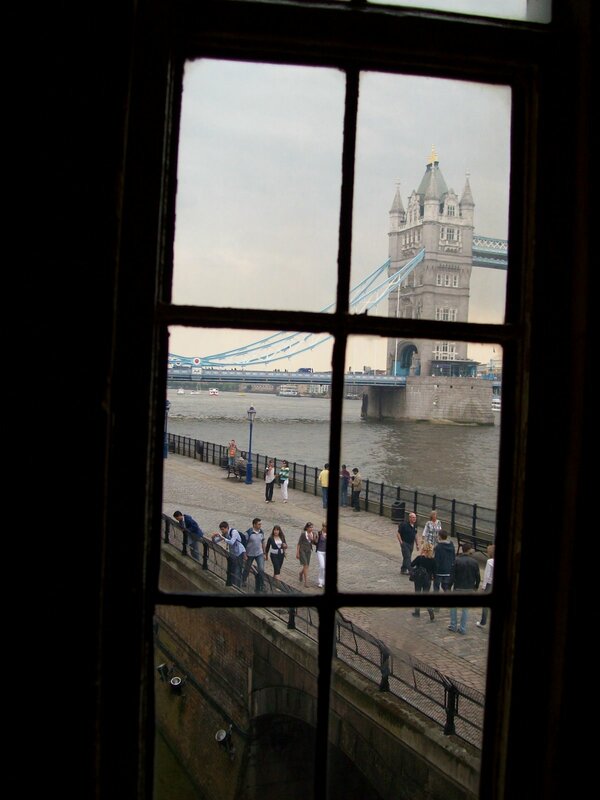 Here is a view of the Tower Bridge from one of the windows in St. Thomas’ Tower. 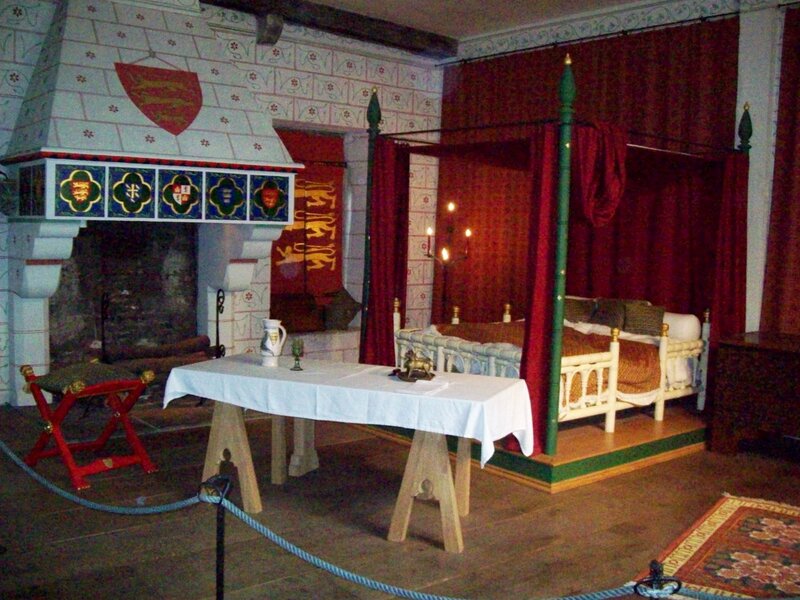 Below is a picture of the Medieval room, a replication of a room planned by King Edward I. i was surprised by the colorful designs of these rooms. I’m not sure what I was expecting, but not this vast array of pageantry.